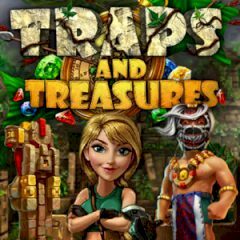 As a treasure hunter you expect this island to be rich with gold and other Maya treasures. But despite the fact, that this civilization is gone, they had left many traps in their buildings, so your adventure won't be easy. The island has something deep inside, that was hidden for many years. As a treasure hunter your effort was rewarded and you know the exact location of the Maya temple. It's full of treasures, but you know how tricky these people were so you should be ready for anything. There are many traps ahead for sure, so you have to be patient and attentive during your journey.